This stone has been with me for almost a year now. 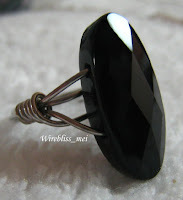 This is a faceted black onyx. 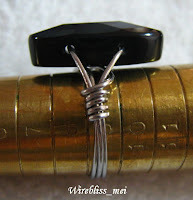 Been wanting to make a wire wrap ring out of it since then but haven't gotten around to doing it until a friend inquire about it.